Dear Aspirants: This is a universal fact that the job profile of civil services in India is most prestigious, dignified and skilled. That’s why the common dream of all rational youths is to crack civil services examination conducted by Union Public Service Commission. This examination is conducted in three tiers and at the second tier; that is mains, aspirants have to choose one optional among the prescribed 51 subjects. Here all aspirants are free to go with any of the subjects prescribed in the notification of UPSC. This liberty actually makes you confused when you have multiple advises, opinions and suggestions. I am not an authority to write about any subject because subject is totally subjective and relative thing and a subject may be good for someone and contrary to others. All the subjects are good and providing hundreds of results as well. Instead of searching good optional subject now aspirants of civil services are searching good guides and rightly so, because the simplest subject can give negative result with an incompetent guide and toughest subject can produce positive result with a competent guide. About the Mentor: He is associated with philosophy for last twenty eight years because he took his first step in the direction of philosophy in 1986 and after doing his graduation and masters in philosophy, he cleared prestigious UGC examination and did his Ph.D. on Gandhian philosophy and taught in university of Allahabad as visiting faculty. He took his attempts of civil services in mid of nineties and was appearing in the interview of IAS right from very first attempt. He established “Darshan Kendra” (Centre for Philosophy) in 1997 at Allahabad (The city known for it’s excellence in Philosophy). He is operating in Delhi for last four years. 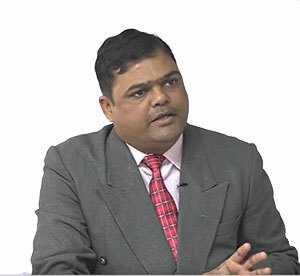 During his teaching career of seventeen years hundreds of aspirants have succeeded under his guaidence in UPSC, state Civil Services and other examinations conducted by UPSC and State Public Service Commissions, but he never took credit of any selection and says that Can I dare to take responsibility of failures, if not then how can I take the credit of selections. You can simply understand this with Dronacharya and Arjuna factor because if it would have been the credit of dronacharya than all of his disciples would have become Arjuna. He has also attended number of seminar and conferences including world philosophy conference in December 2000 and Published so many articles and research papers.